Dominaria is almost here, and with it comes some fantastic new cards. The flavor of the set, so far, is hitting it out of the park. The Sagas tell cool stories relating to the history of the plane, while the legendary creatures are either old(er) favorites or offspring of the heroes we once knew. So much time has passed since the last time we visited Dominaria, but the legacy of those heroes fills the world with rich history, opening new avenues to tell the stories of those who live there now. 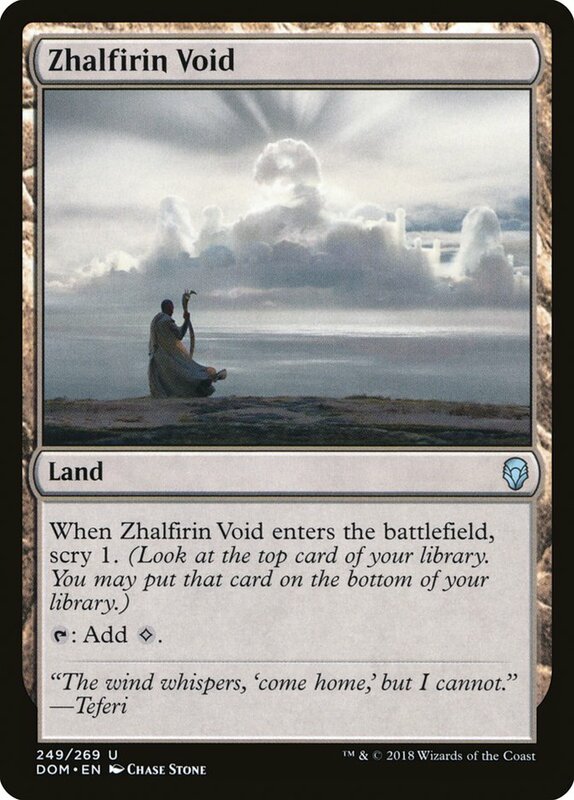 But for most of us, a return to Dominaria just means new cards. Brawl is a new Commander-esque format revolving around Standard, and Dominaria seems to have a heavy legendary theme. Not only are there going to be a ton of legendary creatures to represent the heroes and villains of the world, but there will also be iconic legendary spells that can only be cast if you control a legendary creature. If I'm being honest, Brawl sounds pretty sweet because Standard Singleton is a relatively unexplored format. On top of that, the release of Dominaria with this announcement means we're going to have a lot of Brawl commanders to choose from. Today we're going to be discussing my Top 8 favorite cards previewed thus far, and their implications in all formats, with an emphasis on Brawl and Standard. 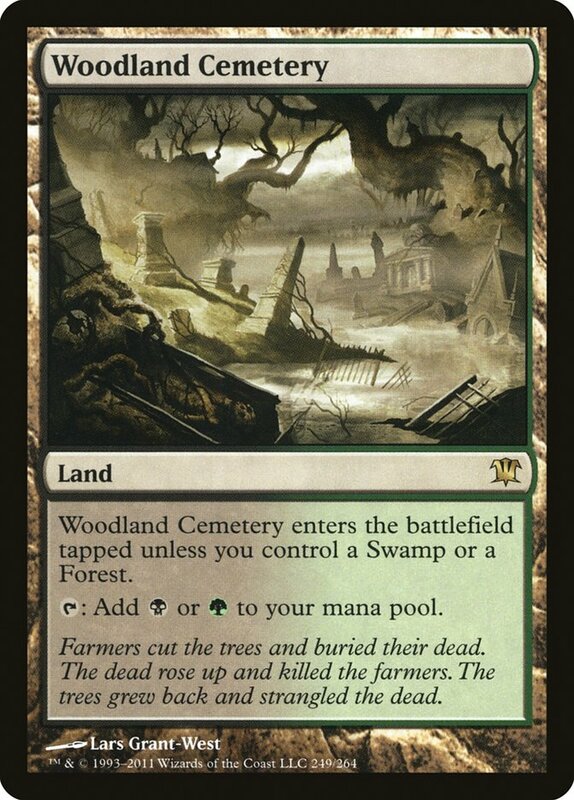 As you probably know, very few cards in new sets make their way into older formats, but a good clip end up being staples in Standard. Now that we have Brawl as an additional format to build decks for, a lot of cards that might not have seen Standard play will get their day in the sun. 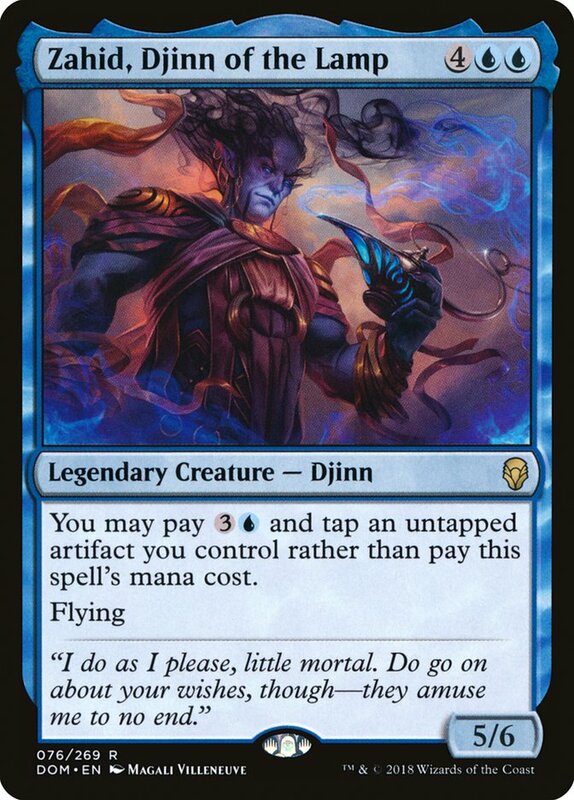 While Zahid, Djinn of the Lamp might not make waves in Standard, I could easily see him being a great Commander for Brawl. While you don't need a heavy artifact theme, having a few lying around is definitely a plus for keeping him cheap and effective. Mahamoti Djinn has a special place in my heart, as it was one of the cards my first Magic-playing friend kept beating me with over and over. But once I got my hands on a playset of Terror, it was lights out for the Fat-Moti. Zahid, Djinn of the Lamp might give the improvise deck another top-end weapon, which it desperately needs. Maverick Thopterist is powerful on the second or third turn, but the deck really lacks powerful follow-up plays. Zahid being legendary might make it a bit risky to play more than two copies of, but I'm a fan of jamming a ton of legends that close the game if left around long enough. Whirler Virtuoso might give Zahid some problems at first since it can generate some chump blockers for a few turns, but the undercosted Mahamoti Djinn is still one of my favorite cards from the set for multiple reasons. Just the idea of a random artifact being the "Genie's Lamp," and having to "tap it" to summon Zahid, Djinn of the Lamp is some awesome flavor. 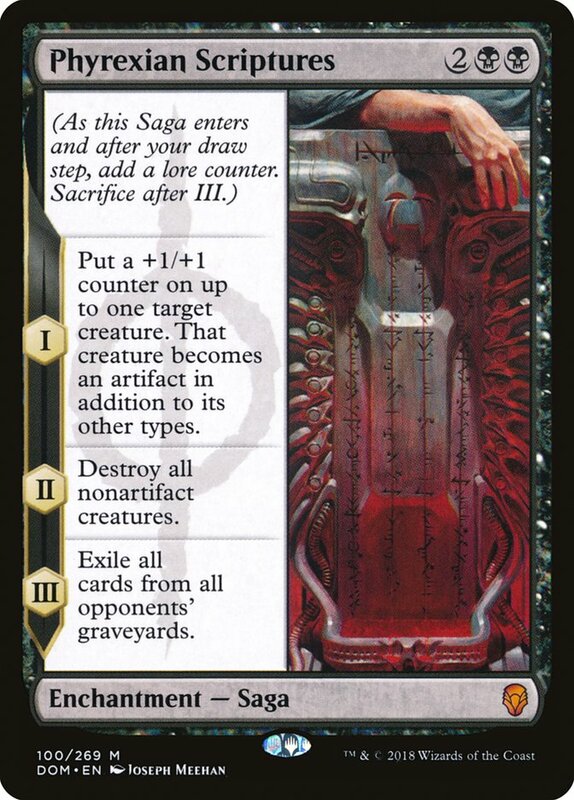 Phyrexian Scriptures seems like it will be one of the more powerful Sagas in the set, if only because it feels like Tragic Arrogance with suspend 1. And if you randomly control another artifact creature, you get to keep them around as well. I love cards that punish decks that go wide while also giving you a reason to continue playing out creatures. While I don't know if there are a ton of good artifact creatures to play right now, the fact that this spell will give them all a bit more value (both for you and your opponents) is definitely a plus. My gut tells me that this card will be great alongside stuff like Scrapheap Scrounger, possibly giving Mono-Black Aggro a chance to shine in a format where The Scarab God rules over all. Sweeping the battlefield so that you can get in one big attack is exactly what this style of deck needs. And alongside Yahenni, Undying Partisan, this one-two punch could end the game on the spot. But Phyrexian Scriptures doesn't necessarily have to go into an aggressive deck. It fits perfectly alongside creatures like Glint-Sleeve Siphoner in a midrange deck. You don't care much if your Champion of Wits hits the bin, and you don't have that many creatures you want to protect. And the fact that the Phyrexian Scriptures will trigger while all your mana is untapped means you'll be the first person to deploy a big threat on the fifth turn after the Phyrexian Scriptures pops. Now doesn't that curve nicely with The Scarab God? Aside from the Constructed implications, I love the fact that this card tells the story of Phyrexia and how they operate on a grand scale. Processing creatures into artifacts, becoming husks of their previous selves, and wiping out all that oppose them was their ultimate goal. Submit or be destroyed. Perfect! 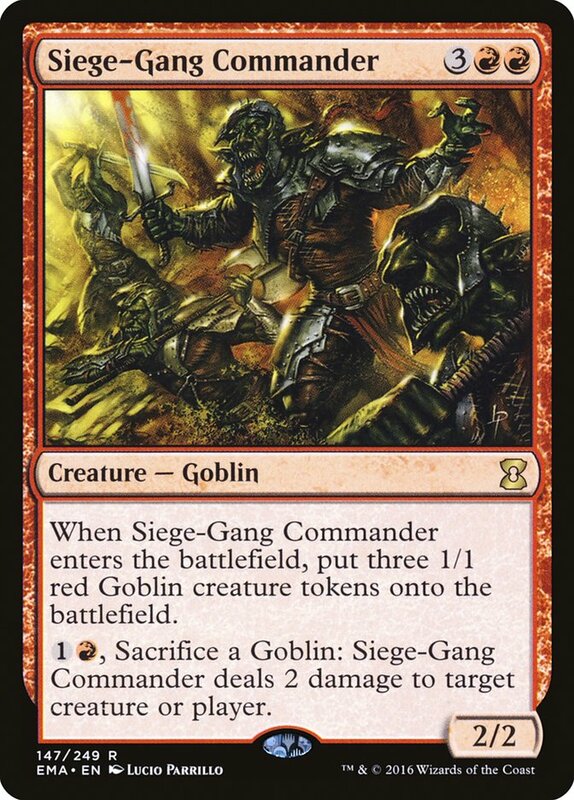 Goblin Warchief is a card I've wanted in Modern for a very long time, as Goblin Warchief and Siege-Gang Commander were the cornerstones for Goblins back in Onslaught-Mirrodin Standard. 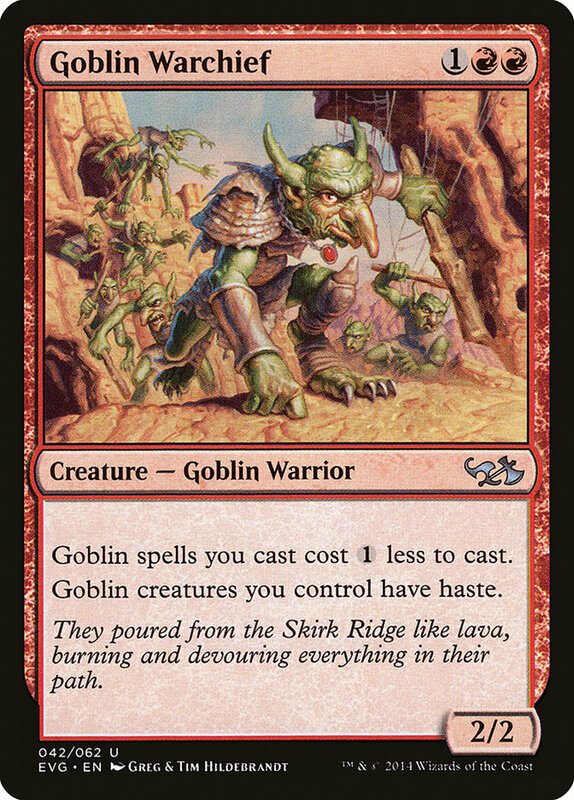 Goblin Warchief is also one of the best creatures in the Legacy version of Goblins, giving the deck some haste-power and high damage output alongside Goblin Piledriver (which is conveniently in Modern already). While I don't expect Goblin Warchief to make too many waves in Standard until there are a lot more Goblins running around, it does have some serious impact with Siege-Gang Commander for high levels of burst damage. There aren't any mass-reanimation spells like Patriarch's Bidding to instant-kill the opponent like the old days, or machine gun turns with Goblin Sharpshooter, but the implication of having both cards back in Standard has me pretty excited. Siege-Gang Commander also has some serious synergy with Liliana, Death's Majesty and The Scarab God. Not only can you create a bunch of small blockers to protect your Planeswalker, but you can close the game rather quickly even if The Scarab God gets hit with a Vraska's Contempt. And with all the removal in the format leaning toward exiling the more important creatures, something like Siege-Gang Commander could punish people who aren't playing sweepers, like Fumigate. I don't know exactly where these two cards will fit into the new Standard, but I would love to see an old-school Goblin deck featuring Aether Vial, though the lack of Goblin Matron might make it worse than a hyper-aggressive version. Other Angels you control get +1/+1. Lyra Dawnbringer is functionally identical to Baneslayer Angel, which gives me a bit of pause. It took quite a while for people to realize that Baneslayer Angel was actually a good Magic card, but the truth of the matter is that Lyra Dawnbringer will only be as good as the removal in the format allows. Yes, it will stop aggressive decks in their tracks, but there are a lot of spells that will trade for it and gain the opponent a mana advantage. But when Lyra Dawnbringer sticks, it will be very tough to lose the game. And that was always the strength of Baneslayer Angel. Yes, it "died to Doom Blade," but the games where it didn't were the games where it would shine. And if your opponent is forced to use their removal on early threats that could potentially overwhelm them, then a mid-game Lyra Dawnbringer will be even better. While control decks have quite a few better finishers now, something like Lyra Dawnbringer could be a great addition to a midrange strategy focusing around having a bunch of creatures that are must-answers. That means you should play fewer token generators, fewer creatures that generate additional value as they enter the battlefield, and more creatures that put you very far ahead if you get to untap with them. I expect Lyra Dawnbringer to be one of the rares that people overlook at first, much like Baneslayer Angel, but the residual effects of how Baneslayer Angel impacted Standard will lead people to overplay this card rather than underplay it. After all, everyone loves big, flying, lifelinking Angels. Cast Down is not Doom Blade, but it's still very good. We haven't had a Standard spell like Cast Down in black for quite some time. Yes, there will be a lot of legends in Standard that this won't affect, but there will still be a ton of creatures running around that this will take care of. I don't want to spend too much time talking about Cast Down because I don't know exactly what creatures will end up seeing the most play in the format, but I do think that Cast Down will be a major removal spell in Standard. Whether or not the format adapts to be more "legend-heavy" is a different story. What I do love about Cast Down is the downside. Killing an expensive legendary creature for two mana was always a feel-bad moment for newer players. Removal spells should have a downside if they're cheap, and the drawback on Cast Down feels almost perfect. I have this much higher on the list than it deserves, but it is still one of the coolest cards in the set. Effectively giving all your Wizards prowess is exactly my cup of tea. Plus, it having flying and haste makes it a fine draw in the later turns of the game. While something like Adeliz might not end up being super-powerful in Standard thanks to the drawback of needing to play a bunch of Wizards in your instant-sorcery heavy deck, I do love the idea that Adeliz represents. You know me, I love casting a bunch of spells in a single turn, and I love cards that give you a payoff for "spinning your wheels." Plus, it feels good to kill an opposing creature while pumping your whole squad. One of the cooler cards I've seen thus far, and possibly the best Saga, History of Benalia gives aggressive white decks one of the most powerful three-mana threats I've ever seen. For three mana, you get four power worth of first strike, and a big follow up turn after you make some more threats. Yes, the third act of History of Benalia only pumps Knights, which might restrict your deckbuilding just a little bit if you want to get full value out of it, but I do love it when cards just fuel themselves. Much like Siege-Gang Commander, I think the value of cards that generate multiple threats will increase as people try to play more and more answers to The Scarab God. 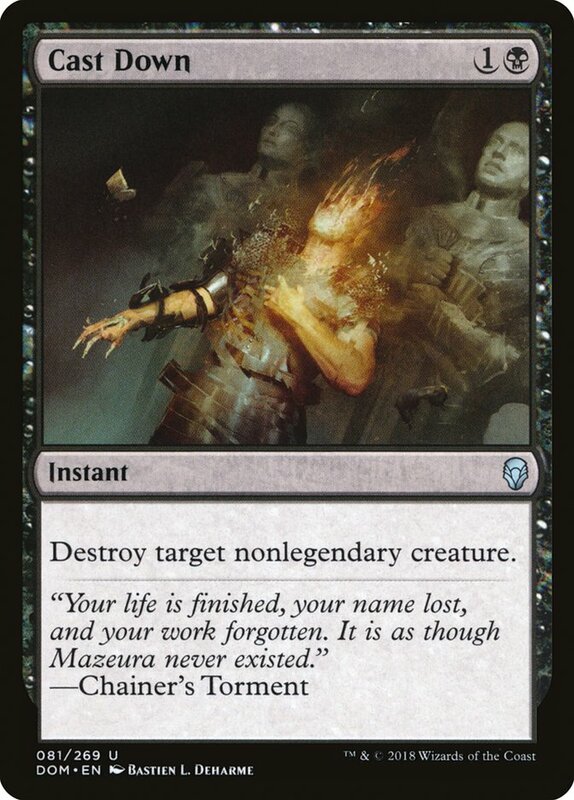 One-for-one removal that exiles is all the rage right now, so any card that can generate multiple threats of relevant size is going to be desirable. While it might not win you the game by itself or have as large of an impact as something like Phyrexian Scriptures, History of Benalia is a perfect card for an aggressive white deck, which we haven't seen much lately. Perhaps this will give it the boost it needs to be competitive! Before we get to the final card on the list, I wanted to talk about a few more cards from Dominaria that caught my eye but didn't quite make the cut. 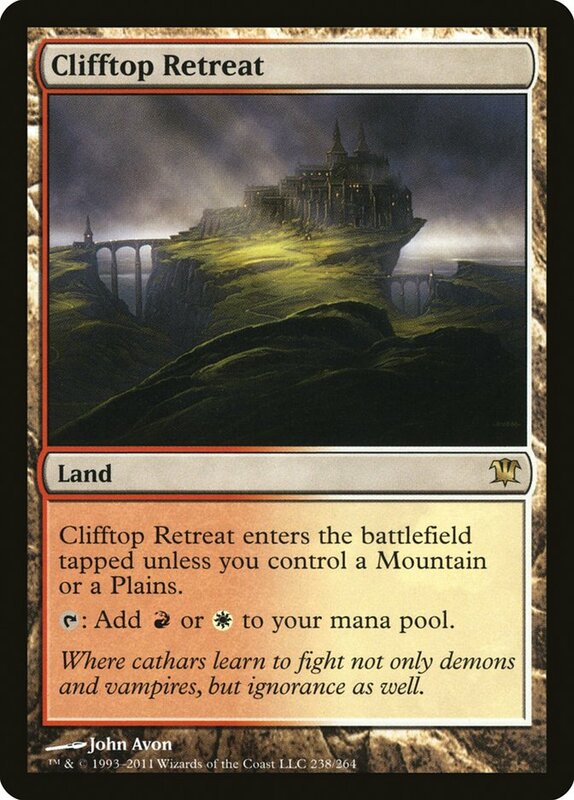 These lands were very good in their original Standard format and continue to see fringe play in a number of Modern archetypes. I hope that these will be as good as I remember them being. 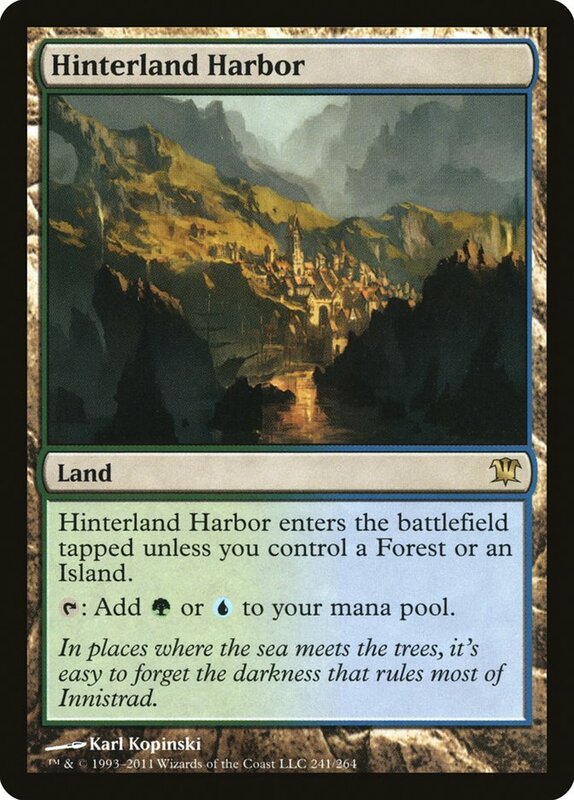 Right now, we already have the "allied" check lands that do the same thing, and we all already know that they pair well with the cycling dual lands thanks to them counting as basic land types. 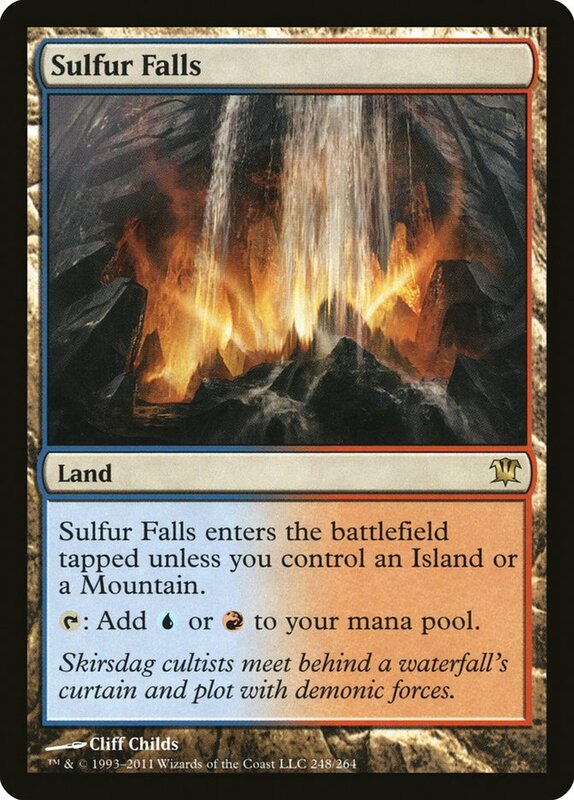 I think this cycle will give us some help in forming more three-color strategies, as well as giving two-color enemy strategies another land to ease the pressure off of playing so many basic lands. Squee has always been one of my favorite characters in Magic lore. Just the thought of squishing a Goblin over and over again, only to have him come back, fills me with a strange sort of sadistic glee. Hrm, maybe I am a bad guy after all. 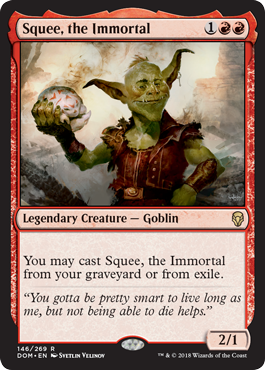 While the original Squee, Goblin Nabob had some cool synergy with cards like Zombie Infestation, this one will play out in a much less exciting fashion. But even though it won't have a huge impact on the game, body-wise, your opponent can never kill it. You can cast it from your hand, from the graveyard, or from exile. How is a control deck ever supposed to beat this thing? I think this card has the best chance to impact older formats over anything else from Dominaria that I've seen so far. There are enough decks in Modern and Legacy that don't need colored mana and would love an early scry. I expect it won't take long for this card to find a home in something like Affinity, Eldrazi, or something similar. 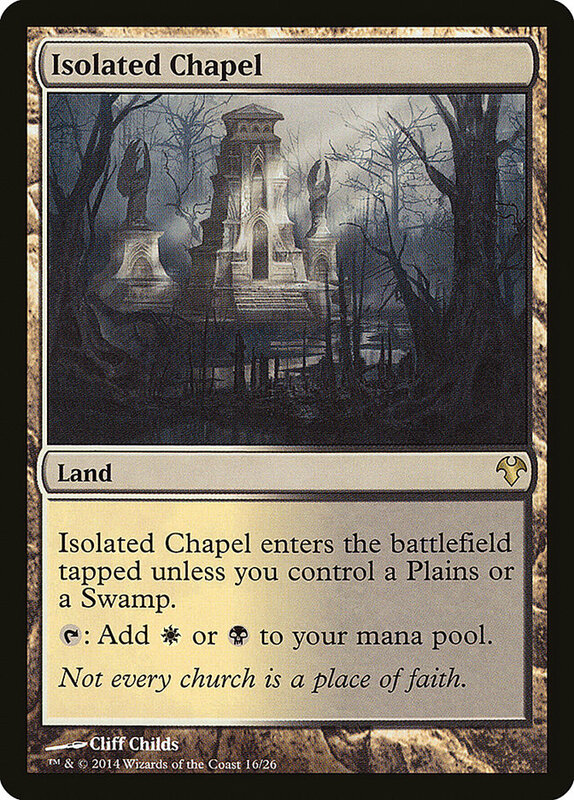 We saw Temples dominate in Standard a few years ago and those entered the battlefield tapped. Even decks like Mono-Black Devotion eventually started playing black Temples just for the scry, as card selection began to outweigh the drawback of entering the battlefield tapped. And now, onto the grand finale. I think it's kinda weird that the best card in the new set is a reprint, but geez what a reprint this is. We haven't had Llanowar Elves (or similar) in Standard for years, and many of us thought that those days in Magic design were over. Llanowar Elves offers some high-powered starts from green decks, but that will only be as powerful as what they're ramping into. 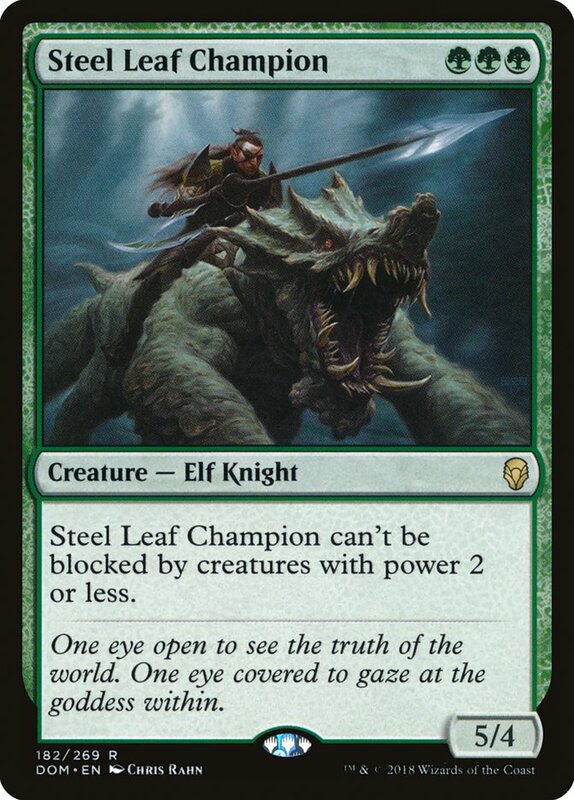 Yes, Steel Leaf Champion is an absolute unit, but I'm more excited about trying to ramp into bigger game. Playing a Chandra, Torch of Defiance a turn earlier sounds busted, and especially so if you're able to untap with it on the following turn and use her mana ability as well. G/R Monsters was only a deck because Elvish Mystic was a card. Mono-Green Devotion was only a deck because Elvish Mystic was a card. Generating three mana on the second turn is an insanely powerful effect, and I expect Llanowar Elves will be the backbone to numerous strategies in the first few weeks. People will quickly learn that you need to "Bolt the Bird," as it were. Because if they don't, their removal spells might not be good enough to handle what comes at them on the second or third turn. Llanowar Elves is my easy pick for best card in the set, if only because of what history has shown us. No, it isn't fancy or splashy or a mythic rare, but sometimes that's okay. The best cards in Standard don't always have to be mythic rares. That's all for today, but I'll be back later this week to talk about the two decks I'll be bringing to Grand Prix Seattle. If you're a fan of Legacy, or a Standard format that's about to change, be sure to tune in (spoiler alert: it'll be mostly about Legacy). These are my Top 8 cards from Dominaria, but the set is so stuffed with cool designs and throwbacks and flavor that I expect each person's Top 8 to be unique. Maybe these eight won't overtake the Standard format, but they all struck a positive chord with me. I've been playing Magic for a long time, and Invasion Block was where I put down roots. These characters and their stories call to me like a siren's song. These cards represent something more than just their text box. So, with that said, what are your Top 8 cards from Dominaria?